Scion Clutch Kit. Aftermarket Performance Clutch Kit for Scion FRS, tC, xA, xB & xD. 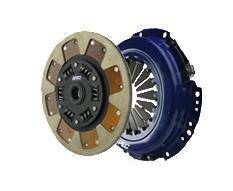 Choose from Scion Clutches by ACT, Clutchmasters, Comp Clutch, Exedy, Spec Clutch & More. Available in Stage 1, 2, 3, 4 or 5 for your Scion vehicle. Description: ST481 SPEC Stage 1 Clutch Kit for 07-10 Scion tC & 08-15 xB2. The SPEC Stage 1 Clutch Kit features an integrally molded carbon kevlar-based, high performance organic lining that offers smooth engagement and excellent life. 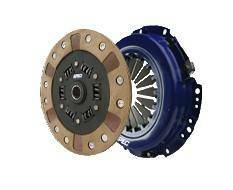 Description: ST791 SPEC Stage 1 Clutch Kit for Scion xA / xB 04 05 06. 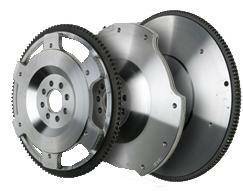 The SPEC Stage 1 Clutch Kit features an integrally molded carbon kevlar-based, high performance organic lining that offers smooth engagement and excellent life. Description: ST161 SPEC Stage 1 Clutch Kit for Scion xD 08 09 10 11 12 13 14. The SPEC Stage 1 Clutch Kit features an integrally molded carbon kevlar-based, high performance organic lining that offers smooth engagement and excellent life. Description: ST483H SPEC Stage 2+ Clutch Kit for 07-10 Scion tC & 08-15 xB2. The SPEC Stage 2 PLUS Clutch Kit features a multi-friction disc in a full faced configuration with carbon semi-metallic on one side and Kevlar on the other. Description: ST162H SPEC Stage 2+ Clutch Kit for Scion xD 08 09 10 11 12 13 14. The SPEC Stage 2 PLUS Clutch Kit features a multi-friction disc in a full faced configuration with carbon semi-metallic on one side and Kevlar on the other. Combo of Stage 2 & 3. 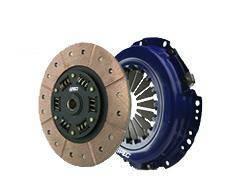 Description: ST484 SPEC Stage 4 Clutch Kit for 07-10 Scion tC & 08-15 xB2. 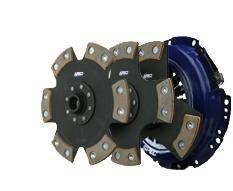 The SPEC Stage 4 Clutch Kit is a solid hub version of the stage 3. The hub is solid 8-rivet and the assembly is heat treated for strength and durability. It is available in a 3, 4 or 6 puck. 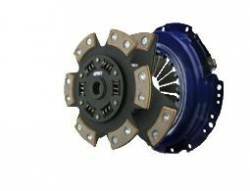 Description: ST794 SPEC Stage 4 Clutch Kit for Scion xA / xB 04 05 06. The SPEC Stage 4 Clutch Kit is a solid hub version of the stage 3. The hub is solid 8-rivet and the assembly is heat treated for strength and durability. It is available in a 3, 4 or 6 puck. 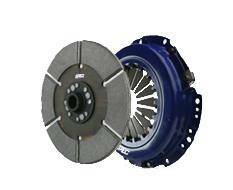 Description: ST164 SPEC Stage 4 Clutch Kit for Scion xD 08 09 10 11 12 13 14. The SPEC Stage 4 Clutch Kit is a solid hub version of the stage 3. The hub is solid 8-rivet and the assembly is heat treated for strength and durability. It is available in a 3, 4 or 6 puck. Description: ST485 SPEC Stage 5 Clutch Kit for 07-10 Scion tC & 08-15 xB2. 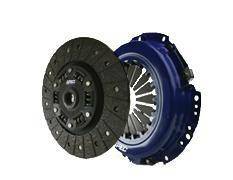 The SPEC Stage 5 Clutch Kit features a full-metallic disc with the highest possible friction co-efficient. Street drivable but not street-friendly. The hub is solid 12-rivet.